To face global market challenges, nowadays one of CEA’s pluspoint is to have a very wide range of “high tech” inverter based products and a few conventional as well, fully in-house developed & manufactured too, in order to meet all needs of the industry. 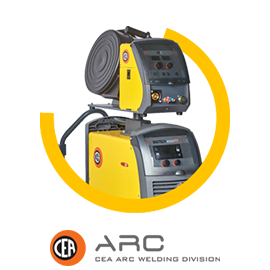 CEA’s large variety of arc welding products are really dedicated to all industrial and professional applications for MMA, TIG, MIG-MAG and MIG PULSED welding , some of which customized to complex automation and robotized procedures. 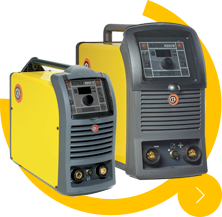 From basic inverter models to innovative products with high performing special processes. 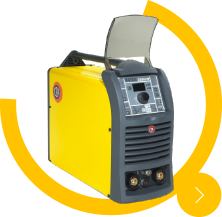 All inverter models in DC and AC/DC versions to meet any industrial and professional need. 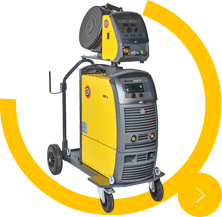 A large range of inverter DC models suitable for welding all types of electrodes, completed by also conventional machines. 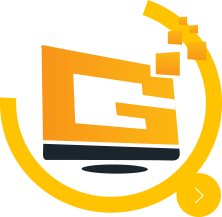 This section offers information about what CEA can offer in order to satisfy the most sophisticated needs of the industry. 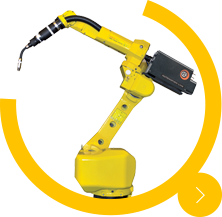 Many solutions can be offered for advanced robotized and mechanized welding applications.